No General Membership meetings conducted in November and December due to special events. 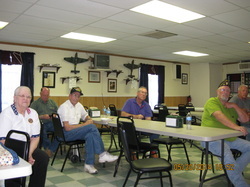 Executive Committee Meetings were held and minutes available. Doris, John, Richard, Marshall, Lance and Dan are definitely interested in the proceedings at the last Legion General Membership meeting. John Cressey-Neeley and Dan Main are new members -- and Dan just returned from another deployment to theatre. Go Navy! 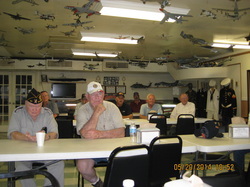 Still room for more members and visitors at the Legion facility --- all are welcome to attend: 7 pm Third Tuesday of each month. 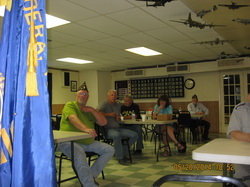 The American Legion is a non-profit that is open to the public --- there is no bar, but a potluck is held jointly with the auxiliary at 6 pm., third Tuesday of each month.